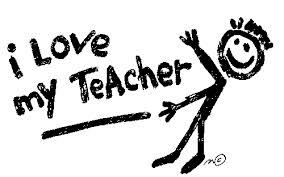 Are you your students’ (and families’) favorite teacher? You have every opportunity to be. I attended the PBIS Summer Leadership Conference this past July. During one of the sessions I attended, the presenter shared a fun fact: teachers have roughly 3,000 interactions with kids per day. The room briefly filled with gasps and murmuring, and on went the presentation; however, I became fixated on this statistic. If this is true, we have 15,000 interactions with kids per week, 60,000 per month, and 540,000 per school year. Every interaction with a kid is an opportunity. An opportunity to be that kid’s Mr. Doug. What if we make good on all 540,000 interactions with kids per year? What if we blow a couple of those? What if we blow a couple thousand opportunities? Even if we blow a couple hundred thousand opportunities, we can still make good on 340,000 opportunities to be someone’s Mr. Doug. Now, I’m not really good at anything, but if I get THREE THOUSAND chances PER DAY to try new things, take risks, reflect, revise, learn, grow, and share, I will find a way to succeed. AND we get all of those opportunities with the thing our parents and families cherish more than anything on this planet—their kids?!?!?! With all of those chances to succeed with the thing our families love more than anything in the world, how can we not become their favorite teacher? We have every opportunity (3,000/day, to be exact) to make it happen. You have 3,000 opportunities to positively engage with kids tomorrow. Make them count, and become somebody’s Mr. Doug. Posted by Sam LeDeaux on December 17, 2013 in Action, Discipline, Education, Learner, Prioritizing, Reflection, Student, Teacher, Uncategorized and tagged accurate reflection, Conversation, Discipline, Education, learning, Prioritizing, Student, Teacher, teaching.